La Casería de Ossio, San Fernando. Enero de 2009. La Casería de Ossio, San Fernando. January 2009. Very nice shot! You did a good traitment with the ligth in the middle of the photograph. I like the black sky. Nice work ! Outstanding!! Love the b/w effect in this image. Well composed! fantastic image, moody and very eveocative. Bravo. Very nice shot. Powerful, strong and dramatic. preciosa la foto, tremendo el cielo que cae sobre el mar y definitivamente impresionante el catálogo de imágenes que ofreces, enhorabuena!!! Excellent shot. 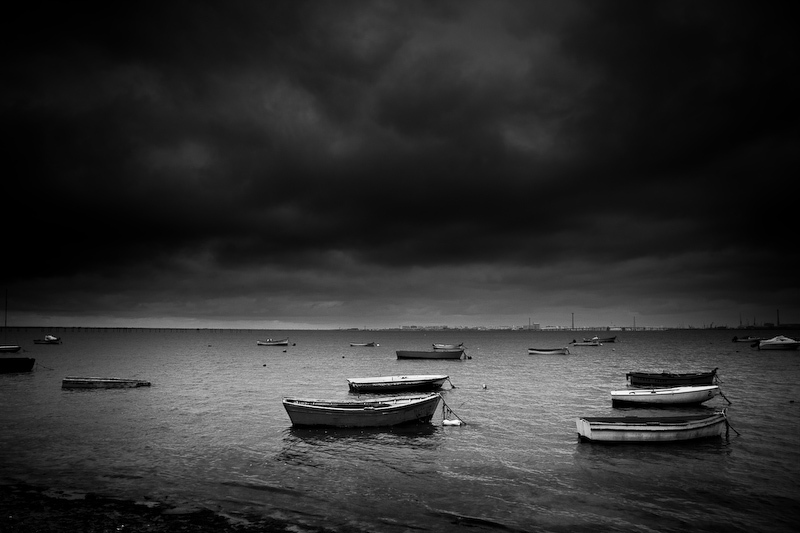 Dramatic sky, beautiful little boats scattered on the sea.. well framed.